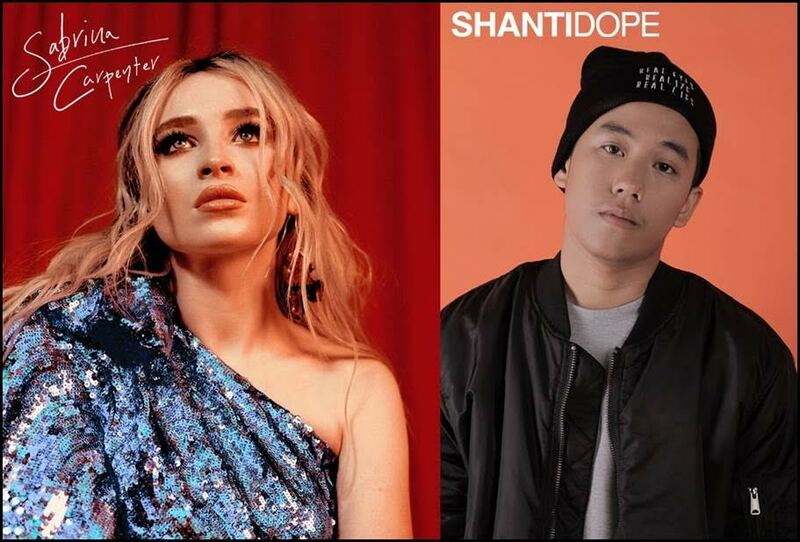 Featuring Filipino rapper Sean Patrick Ramos, 17, who is professionally known as Shanti Dope, the newest single of Disney teen star Sabrina Carpenter, 19, titled “Almost Love” is now available in all digital and streaming providers. The song is exclusively distributed in the Philippines by MCA Music (Universal Music Philippines) through Hollywood Records. Fans of Carpenter and Dope can download “Almost Love” either on Spotify or on iTunes. A unique collaboration, it is the first single off the American singer-songwriter’s highly anticipated third studio album titled “Singular,” which is coming later this year. Carpenter co-wrote “Almost Love” with Mikkel Eriksen, Nate Campany and Steph Jones. Dope composed the rap verses in a truly Filipino style, providing a fresh take on the single, which was produced by Stargate. To promote “Almost Love,” Carpenter is set to take the spotlight for a series of tours in the Philippines titled “Sabrina Carpenter: Live and Acoustic!,” which is presented by MCA Music and Megaworld Lifestyle Malls. She will perform at the Uptown Bonifacio Mall on August 24, 2018 at 7:00 p.m., at the Eastwood Mall Open Park on August 25, 2018 at 7:00 p.m. and at the Venice Grand Canal on August 26, 2018 at 6:00 p.m.
Purchase the Limited Edition Fanzine, which includes a Download Code of Sabrina Carpenter’s singles, at the Astroplus/Astrovision selling booth during the showcase dates and get access to the “Sabrina Carpenter: Live and Acoustic” event. More details on the Show Access/Fanzine Signing/Meet & Greet mechanics to be announced soon on MCA Music (Universal Music Philippines).